Want to check multiple domains? Google Pagerank: Where is the Google Pagerank? Create a website widget for your site that displays your domain worth. You need to have a premium subscription to be able to create widgets. 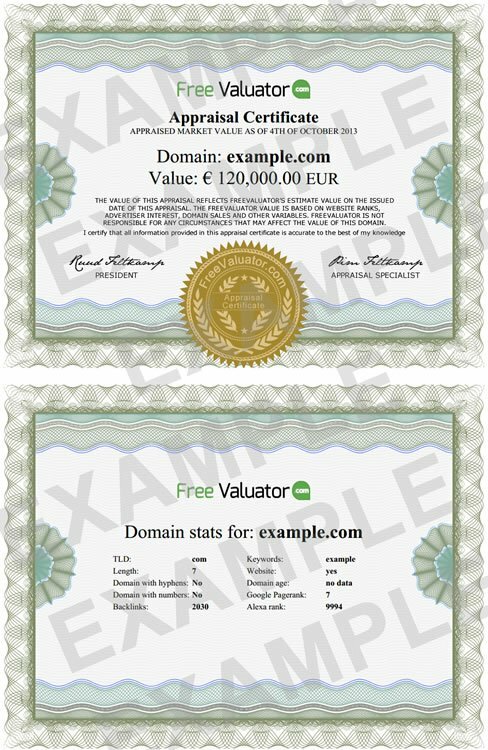 This domain is available and has an appraised value of $ 11.01! * Price excl tax, per year. Order a premium domain appraisal and receive a complete overview of your domain's worth within 1-3 business days. Perform multiple domain appraisals for big domain lists with the Bulk Domain Check.